Amerimax is the leading manufacturer of rain-carrying systems in the United States, offering high-value solutions to consumers and professional contractors. We provide all products needed to protect your home from rainwater, including steel, aluminum, vinyl and copper rain-carrying systems, soffit, fascia, flashing and roofing accessories. Through the responsible development of innovative and sustainable building products, CertainTeed has helped shape the building products industry for more than 110 years. Founded in 1904 as General Roofing Manufacturing Company, today, CertainTeed® is North America’s leading brand of exterior and interior building products, including roofing, siding, fence, decking, railing, trim, insulation, gypsum, and ceilings. A subsidiary of Saint-Gobain, one of the world’s largest and oldest building products companies, CertainTeed and its affiliates have more than 5,700 employees and more than 60 manufacturing facilities throughout the United States and Canada. 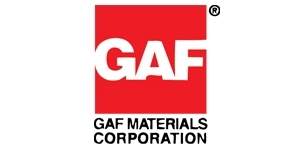 Founded in 1886, GAF has become North America’s largest manufacturer of commercial and residential roofing. Our success in growing the company to nearly $3 billion in sales has been a result of our relentless pursuit of quality, combined with industry-leading expertise and comprehensive roofing solutions. GAF is the most fully integrated roofing manufacturer in the United States, with more than 3,000 employees in 29 plants across the country. We are one of the worlds largest manufacturer of vinyl plumbing, producing whole-house plumbing pipe and fittings from the well or water line to the sewer or septic system. We have multiple manufacturing and distribution facilities across the nation along with an award-winning truck fleet to efficiently distribute our American-made products. Providing durable, expertly crafted PVC products that last a lifetime since 1962. IRWIN TOOLS manufactures and distributes professional grade hand tools and power tool accessories worldwide for trade professionals who demand superior performance and durability on the job. IRWIN TOOLS' brand portfolio features user-preferred category leaders such as IRWIN®, Vise-Grip®, Marathon®, Quick-Grip®, Speedbor®, Strait-Line®, Marples®, Unibit®, and Hanson®. In 1858, 21-year-old Henry Ward Johns used his wife’s clothes wringer and a tea kettle to apply hot tar to cloth in his New York City basement. By doing so, he created the company’s first roofing shingles. More than a century and a half later, we continue to constantly challenge ourselves with a focus on innovation and a refusal to be satisfied with the status quo. Johns Manville, a Berkshire Hathaway company, manufactures residential and commercial insulation, commercial roofing, mechanical insulation and materials for other manufacturers' products and applications. Founded in 1998, Novik is at the forefront of technology and offers attainable luxury that is attractive and easy to install with its unique NovikShake and NovikStone product lines. These products are the perfect fit for builders, contractors, facility managers, home improvement retailers and consumers who take pride in the aesthetic appearance of their home or building. Paslode, a division of Illinois Tool Works (NYSE: ITW), is the premiere manufacturer of innovative fastening solutions and services. 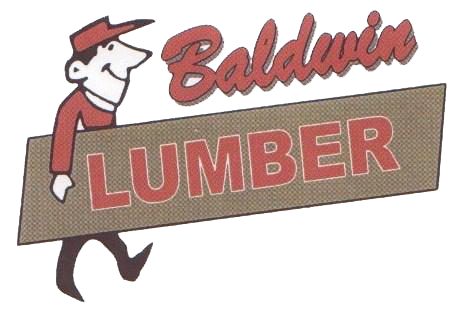 For over 75 years, professional contractors, remodelers and specialty tradesmen serving the residential construction market have relied on Paslode products to drive worksite efficiency, customer satisfaction and business results. As the pioneer of fuel powered cordless tool technology and patented fastener technology, Paslode continues to deliver a broad range of performance-proven, high quality fastening solutions through major home improvement retailers, STAFDA distributors and dealers. PrimeSource is one of the largest purveyors of fasteners in the world and one of the largest distributors of building materials in North America. Our core products include Nails, screws, collated fasteners, tools, compressors, accessories, roofing, gypsum, insulation, concrete accessories, building accessories and wire fence products. Along with these key categories, each of our distribution centers stocks a vast array of building products geared specifically for the market that they each serve. Weekes is the leading distributor of specialty building materials, commodity and MSR lumber, Engineered Wood Components, and Industrial materials. Each of these product groups is supported by our team of experienced specialists, who are considered the best in the industry. Since our founding in 1978, we have developed the reputation as the leading experts for the products we promote.